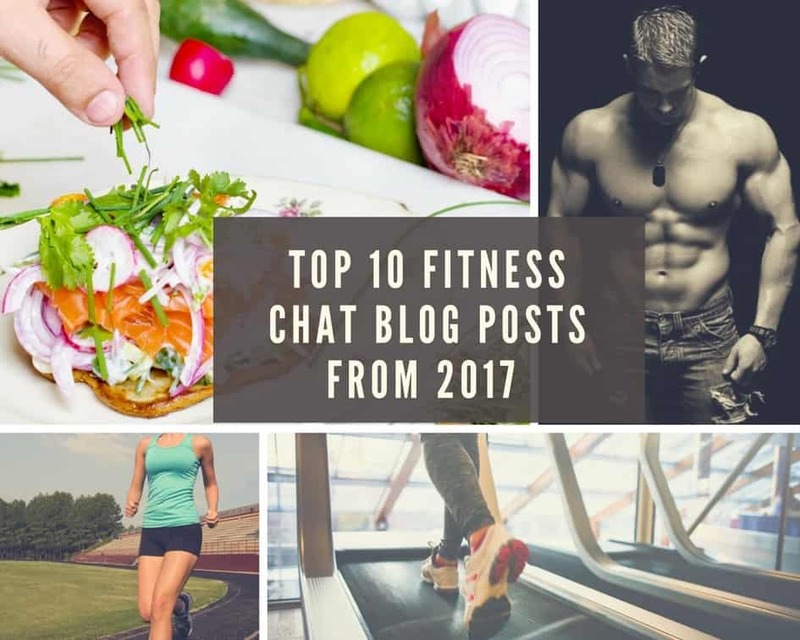 As Fitness Chat turns one year this week, it is time to look back at what a year 2017 has been for this fitness blog and share with you the top 10 Fitness Chat blog posts. Making this selection wasn’t an easy job particularly because plenty of quality articles giving no-frills fitness tips were published on Fitness Chat. 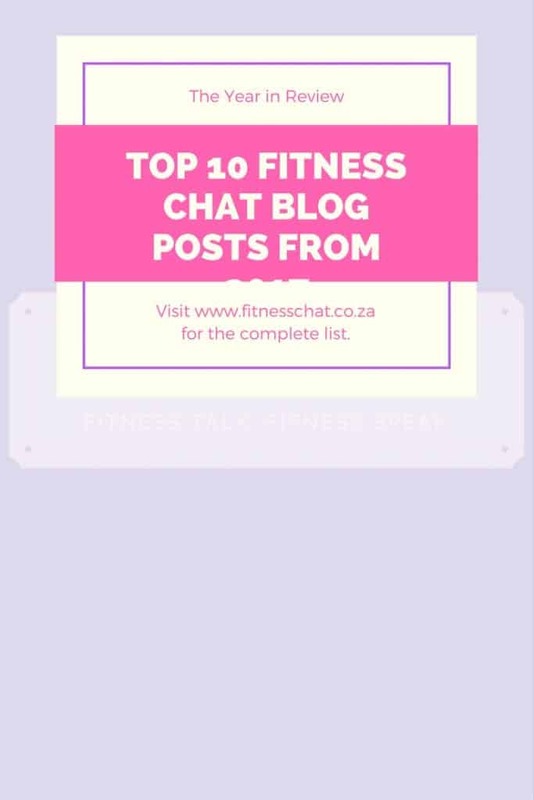 South African fitness trainers and athletes shared valuable fitness and training tips, nutritional advice from qualified dieticians was dished out, and upbeat workout motivation tips, as well as brilliant suggestions for workout plans, were part of the buzz on Fitness Chat. Read on to find out which article made the list and also to recap on the best no BS fitness tips. Almost everyone who has lost weight will tell you that losing weight is the easiest part of a fitness journey while maintaining the new weight is the hardest. Most people gain the weight back down the line after losing it because they do not have sufficient information on how to keep the weight off permanently after weight loss. This post talks about the 6 effective ways to maintain weight. Major Takeaway – “Firstly, how and why you lost weight is important in sustaining the new weight. If you lost weight to fit into an outfit because Mary’s wedding was coming up, then it will be harder to keep it off after the event. Once you make the decision to hire a fitness coach, you have to sift through several resources to pick a trainer who is more aligned with what you want to achieve. But it is a jungle out there. This list of the top personal trainers in South Africa is essential to have at hand as it narrows down trainers who are most sought after in the land and also talks about how each trainer works with their clients. Major Takeaway – “Craig Brown (South Africa’s number one fitness coach) believes it is important to develop a good relationship with clients and have solid communication, though he says, this differs from client to client, as some people are more reserved than others. This article is your essential checklist when you are on a hunt for a personal trainer. Some trainers look like they themselves need a trainer, but that doesn’t mean that they don’t possess the right knowledge to help you nail your goals. Don’t be fooled by outward appearances when it comes to picking the right personal trainer. Major Takeaway – “Observe the trainers when they are working with their current clients. You would be surprised at how many trainers I have seen who do not respect their client’s time. I have seen trainers who spend half the time chit-chatting with the client or with the people around them. People have quite strong opinions about how terrible CrossFit is. The sport is constantly ridiculed. If you belong to any fitness group on social media, you may have come across the negative vibes that ooze off CrossFit. I don’t jump on every opinion wagon that passes my way. I like to be well informed on a subject and so a 101 CrossFit discussion with a professional is one that I sought soon after establishing Fitness Chat. Alan Foulis explained in detail what CrossFit was all about and genuinely answered questions about the Sport. This post is a must read if you have any questions about CrossFit, and why it is said to cause injuries. Major Takeaway – “THE CROSSFIT INJURY DEBATE; IS IT A MISCONCEPTION? WHAT INJURIES HAVE YOU SUFFERED AS A RESULT OF THE SPORT? Injuries are a part of the physical activity, and I can say honestly CrossFit experiences no more than any other sport I have played. What has perpetuated the injury debate is the combination of social media and people trying to perform CrossFit outside of a CrossFit box without correct coaching or supervision. However, in the same breath, all coaches aren’t as focused on safety as others, so in my opinion, there are no unsafe movements in CrossFit, just poor coaching. 5. What Essential Supplements Should You Be Taking? Do you ever get lost in the supplements maze? If yes, then this article will sort that puzzle out for you. I interviewed world-renowned product formulator and researcher, Don Gauvreau, also known as the supplement Godfather- the man behind Ripped Freak and Ripped Femme products. Don gave qualified insight on what really are essential supplements and why you should be taking them. Major Takeaway – “Essential oils such as fish or flaxseed are quite good as Don explained but he also added that these don’t necessarily need to be supplemented as they can be obtained through food if one’s diet is bang on. Two of the most asked questions, especially by women when it comes to body image, is, ‘how to get rid of cellulite’ or how to get rid of stretch marks’. This is probably asked because they have tried different things that claim to work in getting rid of these two issues. The truth is you can’t get rid of neither and so it becomes a matter of reducing the appearance only. Remedies I have tried and are proven to work are sweetly explained in this article. Major Takeaway – “When it comes to reducing my stretchmarks, I swear by Palmers Cocoa Butter. The smell of cocoa butter is not really flattering but who cares, it does the job I need it to do. I have however noticed that a few weeks after I stop using cocoa butter, my stretch marks become more colourful but not in an attractive way. A woman called Kelly Heron was attacked during a run in the park. She shared on Instagram how she fought her way out of the attack. She played a major role in inspiring me to write the article. The running safety tips in this article may just save your life one day. Major Takeaway – Run in an area that has a fair amount of people. You are less likely to be attacked in an area with a good amount of human traffic than in an isolated environment. Predators thrive in places where their deeds will not leave witnesses. The article was authored by Carmen Douglas-Kilfoil, a specialist in postpartum training. It is easy to feel the pressure that has been created by Instagram celeb moms who show off abs whilst pregnant or just weeks to days, after giving birth. Those expectations are unrealistic and Carmen explains why. Major Takeaway – “Here’s a fact that no one ever really mentions. Physiologically, the human female body is only fully recovered from giving birth, 18-24 months after birth has taken place. This is a guide on gym etiquette for people stepping into the gym for the first time. It is also a guide for obnoxious people in the gym. After reading this article, the confidence levels of gym newbies shoot up tremendously. If hitting the gym will be one of your resolutions for the New Year, you better bookmark this article. Be nice to others in the gym and they will be nice to you too. This post went viral almost the instant it was published. This is proof that constant fitness motivation is much needed in large doses. The post features a collection of the world best workout motivation quotes with images which are optimised for Pinterest. Currently, over 50,000 people have so far shared this fitness inspiration filled blog post. As you can see, Fitness Chat has laid a solid foundation as one of the best upcoming fitness blogs to look out for in South Africa. Thank you, everyone, for the continued support. I totally agree that weight loss should be a lifestyle, not a fad, or a quick fix for an occasion. These are all great subjects! i couldn’t agree more with the Getting your Body Back after pregnancy. It does take 18 to 24 months for a woman’s body to recover, so why is that we give ourselves such unrealistic expectations. These are all great posts. I’ve book marked a few to come back to later. So many great and exciting posts over the course of the year. I loved reviewing the supplements post because it is such a controversial topic. I can’t wait to read you this year coming. Totally agree weight loss is part of a lifestyle. If you are only dieting to fit in that dress on new years eve, guess what happens in January. Definitely needed this – especially with the holidays coming up, I can’t help but eat all the food that’s presented to me! I think my main issue is really maintaining the weight loss, so I’m glad you highlighted that. Health should be a lifestyle, not a fad. It should be something you do daily not just to fit in a dress. I enjoy reading your posts because I learn a lot about fitness from it, not just the basic exercises! I’ve read most of these and they’re really helpful, especially for beginners! I love that you have an article about running alone. I live in a populated city, so running should be safe. But the mentally ill population of homeless people in my neighborhood has really grown in the last year. And after a crazy person chased me to my home while I was walking my dog one morning, I stopped feeling safe while running. So I’m sure this article can be helpful to lots of women like me. These all sound like great posts! I saw a few that I want to check out more and read in depth when I get the chance. Wow, there is a lot of information here. I am going to have to sit down and really look it over. Great information is all through this post. I absolutely agree weight loss should be a lifestyle not a fast trick or gimmick. I dropped from 260 pounds down to 150 by simply changing my eating choices. I was diagnosed diabetic and that scared the crap out of me. So I took a nutrition class and started changing my life, exercise became a part of my day not a torture. Health food became what I craved,. No pills no easy out. When I first started even walking 10 min exhausted me but I kept going. I love finding posts like yours because you keep me encouraged. What a great roundup of fitness posts. I am so reading some of these for my new workout routine in 2018! I have been working towards being healthier and working out more, so this gives me some inspiration for sure! It is a lifestyle change for sure and not a quick fix! Great list. I hope we all take this list into account when we think of excising and staying healthy. Here’s to a new year!! My family is a huge fan of Palmers Cocoa Butter. My sweetie buys it all the time to keep in the car, but I haven’t tried it on my thighs yet. I think I might have to try. Congrats on marking one year! So many great fitness posts and topics that happened throughout the year! This came at perfect timing, my husband and I are looking to hire a personal trainer and your guide will come in handy! I also think more people need to read your gym etiquette guide! Wow! this is such an informative post. I really enjoyed it. Thanks for the review on Bio-Oil. I had a friend suggest it. Palmers cocoa butter worked great to prevent stretch marks when I was pregnant. I do have some cellulite I’d like to reduce, maybe I should try Bio-oil. I definitely want to check out the pregnancy one. I had a baby 7 months ago in a very scary delivery that required an ICU stay, and I’m still recovering and have lost all the strength I used to have. This is a great round up from the year! I actually have not read any of them, so will check them out now!! This year I lost a few pounds but not the right way so I’m hoping to tone up and gain some endurance. These are some great tips because I’m currently scouting out a trainer and ones i’ve had in the past were not a fit. And seeing people leave the machines sweaty at the gym is also another reason I need to have my own trainer at home. I learned so much from your posts but I definitely enjoyed reading number one! I’ve been trying to get fit since the beginning of the year and I want to know what to do after I get to my target weight! This is a great resource. I am going to go through each and everything thing to see how it will help me. I am a fitness blogger as well and I am loving the originality of these post and can’t wait to catch up on them! There is so much great information included in this post! We moved a couple of months ago and with that busy time I just stopped making an effort to prioritize exercise and cooking every night for my family. I definitely want to get back to focusing on my health. You produced such great content this year. I remember watching a segment on 60 minutes about Crossfit. it does seem like it’s a hot-button topic. I can see why people would get injured if they aren’t performing it properly in a certified center. I’m curious to give it a try one of these days to see what all the hype is about. WOW, these are all great content pieces. It is incredible how much you can accomplish in a year. This is a great informative post, thank you so much for sharing it with all of us, really appreciate it. I always get nervous when walking alone and don’t like doing it too late for my own safety. Will have to check out that article.